What a year it’s been for Haikugirl’s Japan! First and foremost I would like to thank you all, dear readers, for reading, ‘liking’, sharing and commenting on my posts all year. Thank you to those who have been with me a long time, and to those who have joined more recently. Haikugirl’s Japan has now been running for 5 years and 7 months, and it’s a pure labour of love. I would still write if no one read my words, but the fact that you do makes it all much more worthwhile. As many of you will know, I came back from living in Japan in April 2011. At that time I wasn’t sure what I would do with Haikugirl’s Japan and how I would be able to keep it running. Fortunately I have found that there is an amazing Japanese scene in the UK, in London especially, and not a month goes by without something Japanese-related going on, be it an art exhibition, gig, movie screening, or simply a trip to a new (or newly discovered) Japanese restaurant. I feel really lucky that I’m able to keep up with Japanese culture while living in the UK, and have every intention of building on the connections I have and forming new ones in the coming year. With the help of WordPress.com’s lovely stats helper monkeys, I’ve been able to put together this little summary of the activity on Haikugirl’s Japan in 2012. I used to hate statistics at school and couldn’t see the point, but now I get so excited when I see my WordPress stats! So… Haikugirl’s Japan was viewed 127,000 times in 2012. There were 225 new posts, growing the total archive of this blog to 876 posts. The busiest day of the year was December 20th (my birthday – yay!) with 3,144 views. 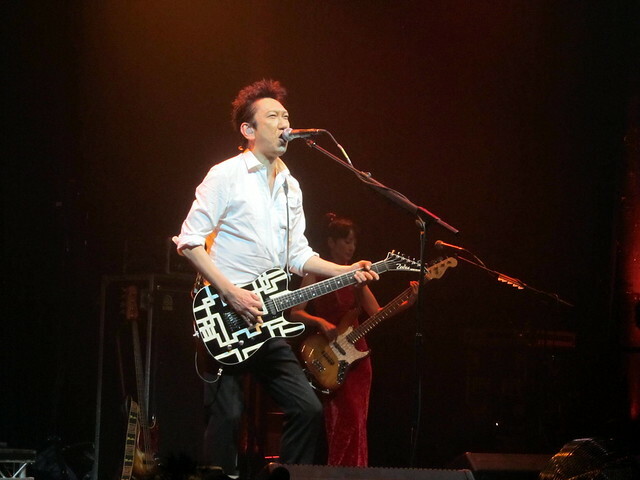 The most popular post that day was My night with an Electric Samurai in London (about Tomoyasu Hotei’s London gig), which is the most popular post this year with a total of 4,240 views and 17 comments. The next most popular post this year was, quite randomly, Weekly Shiritori #4, on the topic of ‘kumihimo’. It was a hard post to write because I couldn’t find an awful lot about kumihimo online, so I guess that’s why it’s turned out to be so popular, with 3,112 views this year. ‘Kumihimo’ was also one of the most popular search terms leading visitors to Haikugirl’s Japan this year. The third most popular post this year was Goldfish Salvation, which was actually published in December 2011. 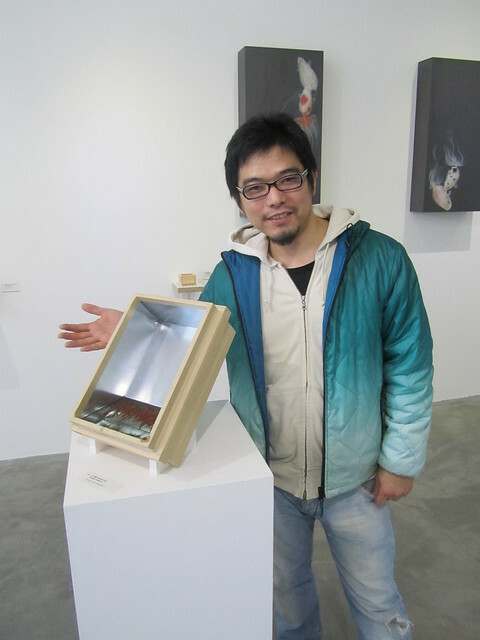 This post was about the wonderful artist Riusuke Fukahori who exhibited at the ICN gallery in London. The post received 2,352 views this year. Coming in fourth was a slightly controversial post – Marie Claire article about anorexia in Japan branded “stupid journalism”, which received 2,007 views and 10 comments. In fifth place this year, with 1,791 views, was March 2011 Earthquake & Tsunami in Japan – a post which was published in March 2011 but remains popular due to the ongoing situation in Tohoku as recovery continues. This post remains the most popular post of all time on Haikugirl’s Japan, with 22,324 views. Visitors to Haikugirl’s Japan came from 167 countries this year! Most visitors came from the US, with the UK and Japan not far behind. Views by country have only been recorded on WordPress since February, but since then Haikugirl’s Japan has had 23,786 views from the US, 22,347 views from the UK and 15,626 from Japan. Coming in fourth with 4,242 views is Australia, and Canada is fifth with 3,555 views. I love receiving comments and interacting with my readers, so a big thank you to everyone who has taken the time to leave a comment this year. 2012’s top commenters were: zoomingjapan, japanaustralia, lovelycomplex22, alysesjapan and Diverse Japan, but thank you also to everyone else! 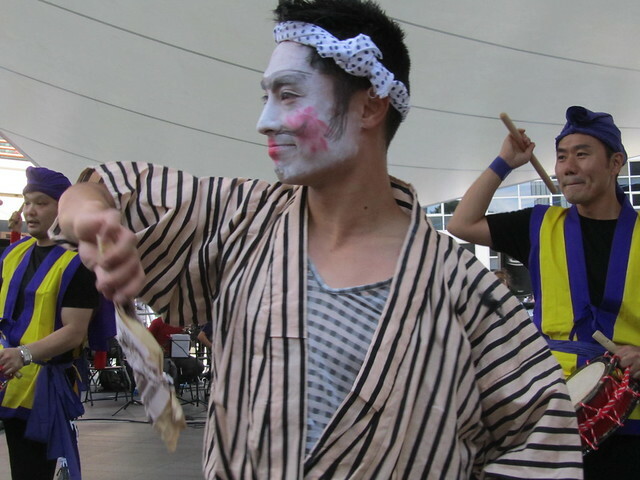 The most post which received the most comments this year was Okinawa Day 2012, with 20 comments. People arrive at Haikugirl’s Japan through many routes, with Facebook and Twitter being the most common referers. The most common search terms which brought visitors to the site this year were: kumihimo, Riusuke Fukahori, Ryohei Kawanishi, Japanese shoes, Harajuku, wasabi chocolate, goldfish salvation, ikebana, Pocky, and tsunami in Japan. I’m surprised to see that ‘Japanese shoes‘ is still a popular search term bringing people to my site, as it’s not a topic I’ve ever really written about much. However, it is actually the second most popular search term to bring visitors to my blog (after ‘tsunami in Japan 2011’), so it’s probably something I should consider writing about more! Leaving the site itself for a second, I would also like to thank everyone who ‘likes’ Haikugirl’s Japan on Facebook or follows me on Twitter. The Facebook page currently has 409 ‘likes’ and I have 748 followers on Twitter. On twitter I also tweet about other topics, but you will mostly find me tweeting about Japan, street art and things going on in London. Follow me @Ali_Haikugirl! Don’t forget you can also subscribe to Haikugirl’s Japan by email, using the handy button at the top of this page. So, that was 2012, what’s in store for 2013? As promised, following the success of 2012’s weekly series Weekly Shiritori, I will be back in the new year with a new weekly series, so watch this space. I will continue with my promise of posting at least once a week, and will try to post more often when time allows. I’m still hoping to get a chance to visit Japan again soon, but for financial reasons I’m not sure if I’ll make it in 2013. If I come into any money though, I’ll be on a plane faster than you can say ‘sayonara suckers’! Each month I will continue to try out and post a Japanese recipe, and still welcome suggestions from chefs who would like me to try something from their book or website. You can always contact me! Of course, I will also be continuing to attend as many Japan-related events, exhibitions and shows in the UK as I can, and will bring you news of those whenever possible. If you’re reading this and would like me to help promote an event you’re running, review a book you’ve written or a CD you’ve released, or mention anything else related to Japan on this site, please do get in touch and I’ll see what I can do! I’m also keen to run more giveaways in the new year, so if you have a shop selling Japan-related goods and would like to talk about running a competition, just drop me a line. I also work as a freelance writer in my spare time, and am always keen to talk to people about the possibility of new work, so please feel free to send me an email if you’d like to discuss something further.